Imbalances in the body can be assessed using patterns of signs & symptoms, gathered through questioning and observation. Tools from Traditional Systems of Medicine such as tongue or pulse reading, and Reflexology point sensitivity can inform on the quality of energy and blood flowing through the body and identify blockages, while Iridology can inform on a person's innate constitution based on characteristics of the iris. Traditional medicinal knowledge has accumulated through years of empirical observation. Scientists have recently taken an interest in natural medicine, and the effectiveness of some of these traditional approaches has now being formally demonstrated. For information on modern Naturopathy, see the Naturopathic Physicians Research Institute website. Functional biochemistry uses knowledge established through scientific research, about the body's metabolism and its changes from healthy to disease states. 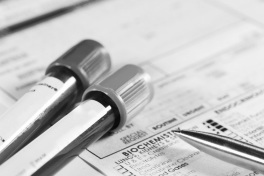 Changes in metabolism and nutritional status can be assessed using blood, urine, stool or hair testing. Some tests may be done through your GP while more specific tests, if required, can be performed by specialised diagnostic laboratories available through your therapist. The tests may identify severe nutrient deficiencies, infections, toxins, allergens or variability in enzymatic functions which may partly account for the presenting condition. For more information about Functional Medicine, see the Institute of Functional Medicine website. using energetic remedies or reflexology where appropriate. If adequate, patients may be referred for physical therapy or counselling. Individual restrictions, current medications and contraindications will be taken into account prior to recommending supplementation.